The secret ingredient in these classic cookies? Nostalgia. 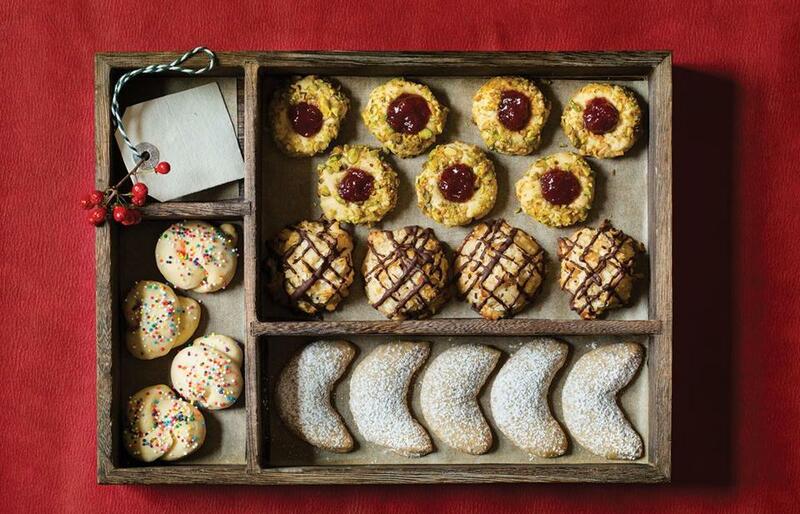 Macaroons, Christmas wreaths, almond crescents, and Italian natale cookies bring on the warm memories. Baked into every spectacular holiday cookie is a heartwarming spoonful of nostalgia. These are the cookies of your childhood, made by someone who loved you. You’ll never outgrow your longing for their special aroma, texture, and flavor. Cookie memories might begin in an unadorned kitchen, with you at the elbow of a home baker assigning you small tasks. What you made together appears on the holiday table, and as far as you’re concerned, it should be on the table forever. 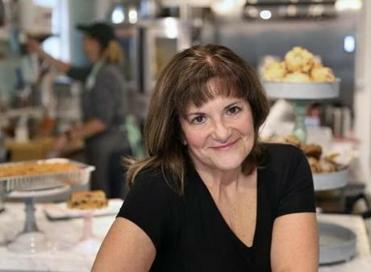 Laura Raposa, owner of The Foodsmith bakery and cafe in South Duxbury, knows all about this. She has stayed up on Christmas Eve into the wee hours making labor-intensive cookies because she can’t appear at the next day’s feast without them. But tucked away in tins, baked earlier in the week, are coconut-orange macaroons that take very little time to put together. They go onto The Foodsmith’s holiday cookie platters along with gingersnaps, chocolate-mint balls, and other small confections. The coconut-packed creations aren’t the least bit precious and will keep for days. “This is a cookie that has some shelf life,” says Raposa, whose Italian grandmother gave her the recipe (her Portuguese grandmother passed down others). Her grandmother left them plain, but Raposa drizzles the tops with melted chocolate. “I have a friend who had a cookie contest every year, a big party, and one year these won,” she says. 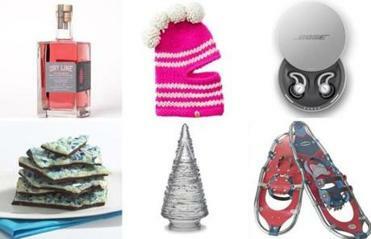 Cuddly kiddie toys, flavored gin, colorful loafers, ethically sourced jewelry, a pop-up paper Christmas tree, and other delightful buys with local roots. 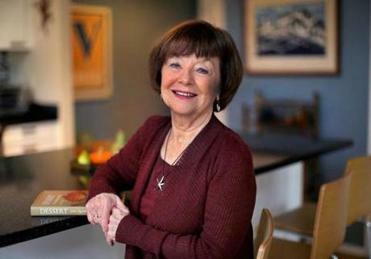 Cambridge resident Jeri Quinzio is a writer who specializes in food history and recently published the book Dessert: A Tale of Happy Endings, which explains how the sweet course in the meal evolved. 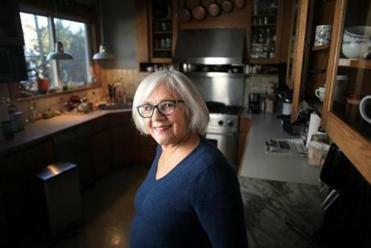 She inaugurated her own tradition years ago after coming across a recipe for Christmas wreath cookies that “explained that if you couldn’t get pistachios, you could dye walnuts green,” she recalls. Her father thought the little rounds were wonderful. Says Quinzio, “I would make them and put some out for the family and put some aside for Grandpa Nick.” Eventually the treats, which resemble classic thumbprint cookies (with real pistachios, not dyed walnuts), were named for him. My mother also brought nostalgia to the holiday kitchen. We lived in Europe when I was a girl, and someone gave her a recipe for Viennese crescents, made with ground almonds and sprinkled generously with confectioners’ sugar. Around the holidays, she gave them away in Table Talk Pie pans, which she lined with foil, filled with cookies, and covered with plastic wrap. And there was always a tin in the freezer to pull out for visitors. 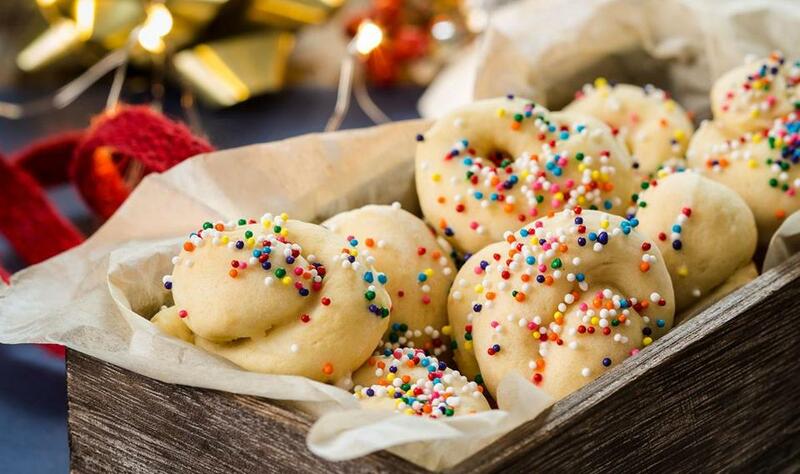 The crescents are similar to other buttery cookies, like Greek kourabiedes, and look quite festive on the table. Raposa made the same cookies using a recipe from her grandmother that adds aniseed, a flavoring that’s not universally liked. Based on orders for Foodsmith cookie platters, she soon realized they weren’t popular. “I only have two customers who like them,” she says. Even nostalgia, it turns out, is a matter of taste. Preheat the oven to 300 degrees. Line 2 baking sheets with parchment paper. In an electric mixer at medium speed, beat the butter until creamy. Beat in the sugar, followed by the egg yolk and the vanilla and almond extracts. With the mixer set on its lowest speed, beat in the flour and salt until a dough forms. Use a teaspoon to scoop up pieces of dough. With your hands, shape into small balls. Set them on the baking sheets. In a wide, shallow bowl, use a fork to lightly whisk the egg white. Dip each ball of dough into the egg white, then roll it in the chopped pistachios. Arrange the cookies 2 inches apart on the sheets. Use your finger to make an indentation in the center of each ball. Transfer to the oven and bake for 20 to 25 minutes or until set and starting to brown. 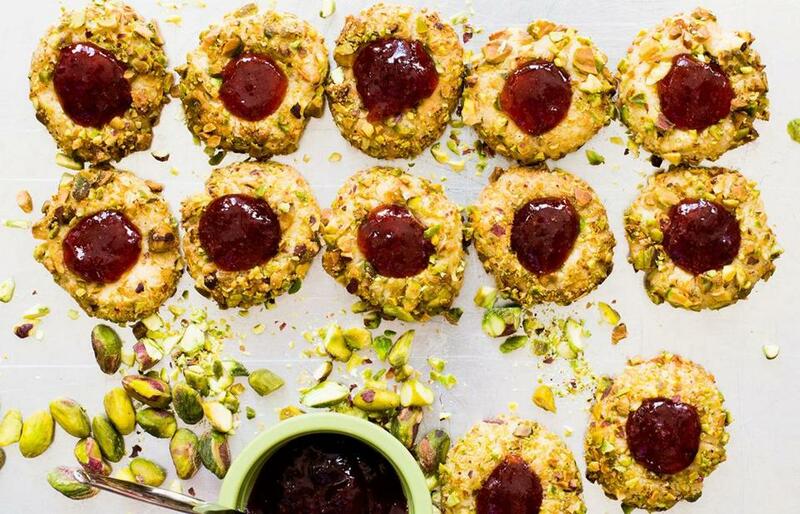 Remove cookies from the oven and, while they’re still warm, fill the centers with jam. Meanwhile, fill a saucepan with several inches of water and bring to a boil, then reduce heat to low. Place the chocolate chips in a heatproof bowl that will fit neatly into the pan without touching the water. Melt the chocolate in the bowl, stirring occasionally. Remove the chocolate from the heat and wipe the bottom of the bowl dry. 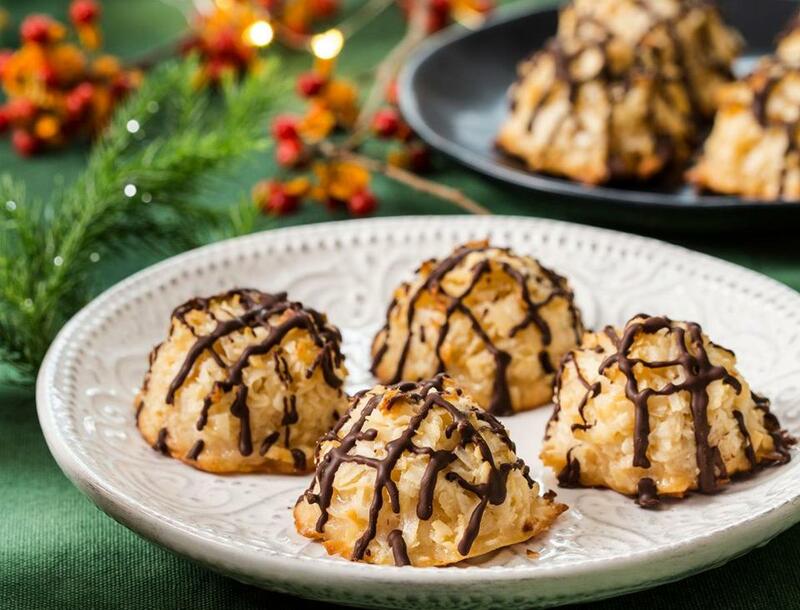 Dip a fork into the melted chocolate and drizzle it over the macaroons in a crisscross pattern. Let the chocolate cool on the cookies. Use a wide metal spatula to remove the cookies from the baking sheet. Store in an airtight container for up to 3 days. These cookies taste better the day after baking. Getting the hang of knotting the dough takes a cookie or two, but it’s easy. In a bowl, whisk the flour, salt, and baking powder to blend. In an electric mixer, cream the butter and cream cheese at medium speed until well combined. Add the sugar and beat until smooth. Beat in the eggs, one at a time, followed by the vanilla and orange extracts. With the mixer set on its lowest speed, blend in the flour mixture just until no white patches show. Scrape down the sides of the bowl. Cover the bowl with plastic wrap and refrigerate for 1 to 2 hours or until the dough is cold. Remove the parchment sheets from the wire rack. Set 1 rack on a rimmed baking sheet. Pick up a cookie, turn it upside down, and dip it into the icing. Set it right side up on the wire rack. Continue until all the cookies are dipped. Sprinkle with nonpareils, sprinkles, or colored sugar. Leave to cool completely. 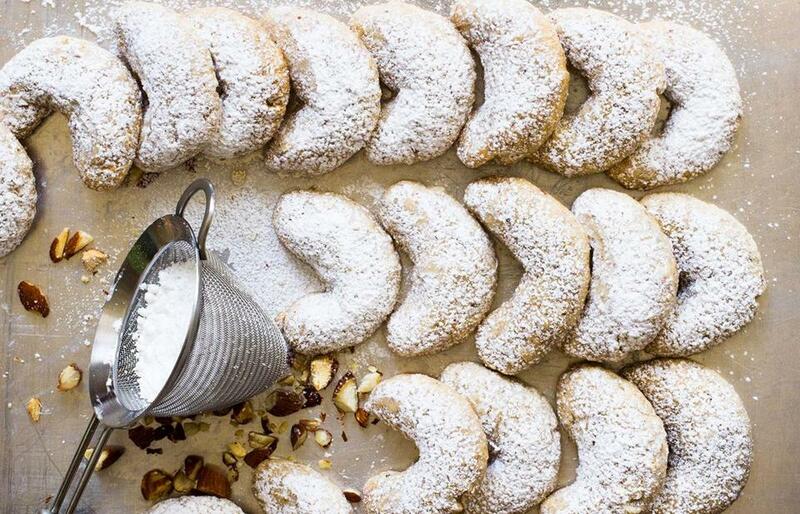 In Vienna, the name for these crescents is kipferl; they’re a Christmas tradition in the Austrian capital, where they’re often sprinkled with vanilla sugar. 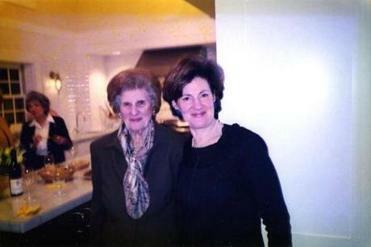 Doris Julian and Sheryl Julian. Preheat the oven to 325 degrees. Line 2 baking sheets with parchment paper. In a bowl, whisk the flour and salt to blend. In a food processor, pulse the almonds until they are finely ground. In an electric mixer, cream the butter until softened. Add the confectioners’ sugar and beat until well blended, scraping down the sides of the bowl. Beat in the vanilla. With the mixer set on its lowest speed, blend in the nuts and the flour mixture. Remove the bowl from the mixer stand. Use a small spoon to scoop up the dough and with your hands, shape it into 1 ¼-inch balls. Roll the balls in your palms into 3-inch logs. As you place them on the baking sheets, curve the logs and pinch the ends slightly to form crescent shapes. Set them 1 inch apart on the baking sheets. Bake the crescents for 18 to 20 minutes, or until they are set and starting to brown. Let the crescents cool on the baking sheets for 5 minutes. Slide the parchment onto wire racks and sprinkle generously with confectioners’ sugar while cookies are still warm. Sheryl Julian is the former food editor of the Boston Globe. Follow her on Twitter @sheryljulian. Send comments to magazine@globe.com.